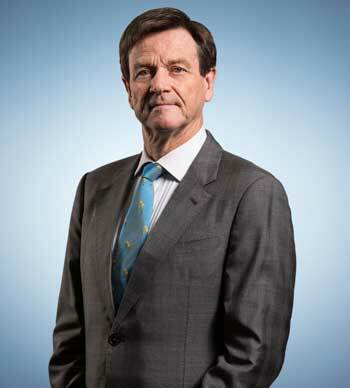 Stanley Drummond is Adjunct Head of Superannuation & Wealth Management at Thomson Geer. He specialises in superannuation, life and general insurance, managed funds, financial planning and financial services regulation. His expertise in these areas is founded on previous roles as in-house counsel at St. George Bank, Vero Insurance, ING Australia and GE Money. Stanley is a prolific author on superannuation, insurance and other financial services topics, with articles frequently appearing in the Superannuation Law Bulletin, the Financial Services Newsletter, the Insurance Law Bulletin and the Insurance Law Journal. He is a frequent speaker at seminars and training courses convened by the Association of Superannuation Funds of Australia and the Australian and New Zealand Institute of Insurance and Finance. Stanley has been recognised by his peers as one of the Best Lawyers in Australia (2014 – 2020) in the practice area of Insurance Law. In 2015 to 2017, Stanley was named in Who’s Who Legal as a leading individual within the practice area of Pensions & Benefits worldwide. Co-author of Wickens The Law of Life Insurance in Australia. His contributions include new chapters “Insurance in superannuation”, “Direct marketing” and “Cancellations”. Co-author of CCH Guide to MySuper, SuperStream and Super Choice. Co-author of “What do the Privacy Act amendments mean for insurers?”, (2013) 28 Insurance Law Bulletin 38. “Fraudulent misrepresentation and non-disclosure – does the insurer have to return the premium?”, (2010) 21 Insurance Law Journal 1. FSR – coming to a claims department near you!”, (2010) 25 Insurance Law Bulletin 82. “When is a PDS defective?”, (2009) 7 Financial Services Newsletter 136. “When should a trustee seek judicial advice?”, (2009) 7 Financial Services Newsletter 119. “Efficiently, honestly and fairly – a new missile?” (2009) 7 Financial Services Newsletter 173 and (2009) 8 Financial Services Newsletter 8. “Unfair terms in insurance contracts – a storm in a teacup?”, (2009) 24 Insurance Law Bulletin 141. “Which cancellation procedure for contracts of life insurance?”, (2007) 18 Insurance Law Journal 153. “Damages for consequential loss when the insurer fails to pay”, (2005) 16 Insurance Law Journal 128. “Unconscionable conduct and utmost good faith”, (2003) 14 Insurance Law Journal 208. The transfer of Manchester Unity’s life insurance business to Foresters Friendly Society under Part 3 of the Financial Sector (Business Transfer and Group Restructure) Act 1999 (Cth). Successor fund transfers from Toshiba and IBM to AustralianSuper. The Australian aspects of the global merger of the real estate securities businesses of CB Richard Ellis Global Real Estate Securities and ING Clarion Real Estate Securities. Advising a public sector superannuation scheme on an offshore investment. Conducting a comprehensive review of an employer’s obligations to make superannuation contributions under the superannuation guarantee legislation, industrial instruments and employment contracts. Advising an employer on repatriating the surplus in a defined benefit sub-plan. Advising an employer on terminating a defined benefit sub-plan.